Against the scandal and seduction of Regency England, New York Times bestselling author Mary Balogh introduces an extraordinary family the fiery, sensual Huxtables. Vanessa is the second daughter, proud and daring, a young widow who has her own reason for pursuing the most eligible bachelor in London. One that has nothing to do with love. Or does it? 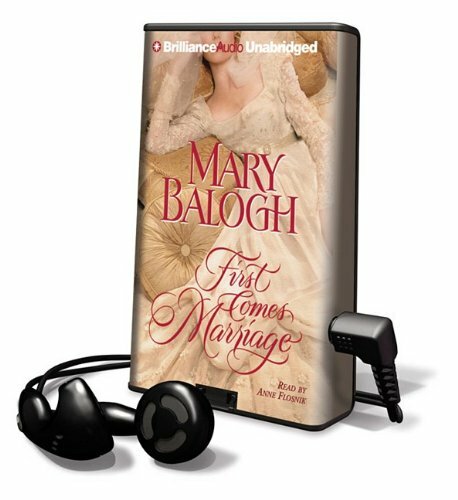 Mary Balogh is the <i>New York Times</i> bestselling author of the acclaimed Slightly novels: <b>Slightly Married, Slightly Wicked, Slightly Scandalous, Slightly Tempted, Slightly Sinful</b><i>,</i> and <b>Slightly Dangerous</b><i>,</i> as well as the romances <b>No Man&#x2019;s Mistress, More than a Mistress</b><i>, </i>and <b>One Night for Love</b><i>.</i> She is also the author of <b>Simply Love, Simply Unforgettable, Simply Magic</b><i>,</i> and <b>Simply Perfect</b><i>,</i> her dazzling quartet of novels set at Miss Martin's School for Girls. A former teacher herself, she grew up in Wales and now lives in Canada. Janie and John, are a couple of seniors, passionate about the book business, and anxious for your satisfaction. We pride ourselves on customer service. Your media is always tested and polished prior to shipping for a smooth quality performance. All books are professionally wrapped and promptly shipped. We look forward to the opportunity to serve you. Books will be shipped within two business days. Your order will be well wrapped and professionally packaged. A letter of thanks with a return address be included with every book. You can feel comfortable buying and returning here at The Yard Sale Store. Welcome to the Yard Sale Store Family! The Yard Sale Store, Inc.
Orders usually ship within two business days. We understand when someone needs a book right away. ASAP is our specialty. Communicate directly with a dedicated, caring duo. We live to ship your books!